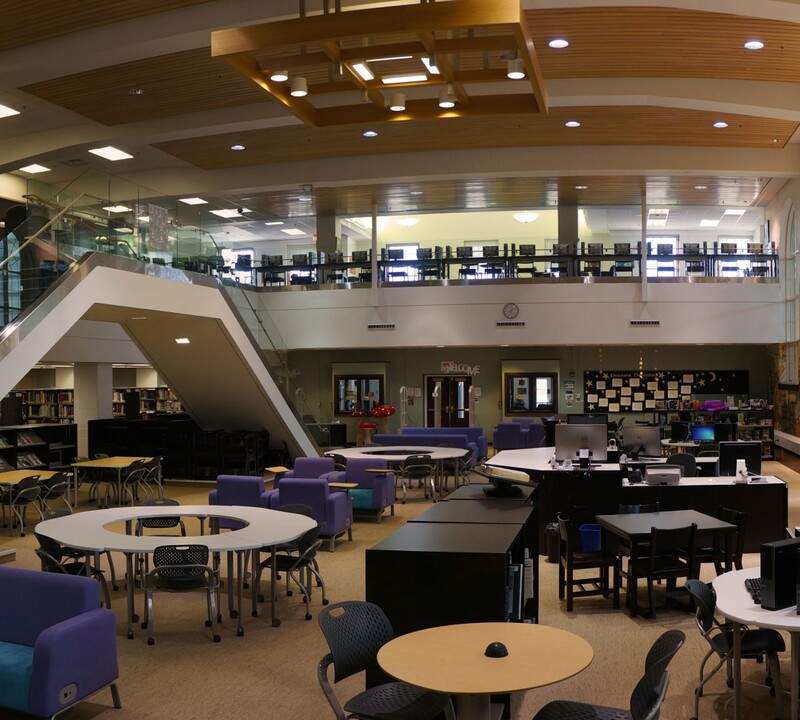 The team here at the Lake Forest High School Library continues to expand as two more assistants have joined us this year! Meet Mrs. Middlebrook and Mrs. Nielsen. Mrs. Nielsen is a new member of the Lake Forest library crew. She holds a B.A. from Trinity International University and has been involved with libraries (even when camping all summer) for a long time. As a Sci Fi/Fantasy reader, Mrs. N. has written her first ever novel, By Land or Sea, and is busy editing and expanding it to over 70,000 words. Outside of reading and writing, she loves hanging out with her family, earth-ing it in her organic garden, and playing jazz trombone in a couple area big bands.